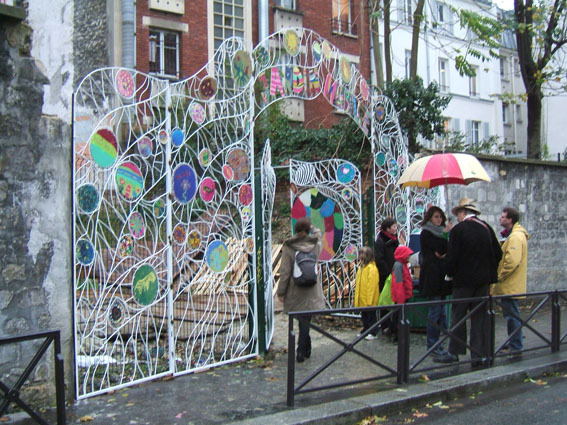 A colorful gate for the Mobile Garden (Jardin Mobile). Obviously the most beautiful portal of the world! 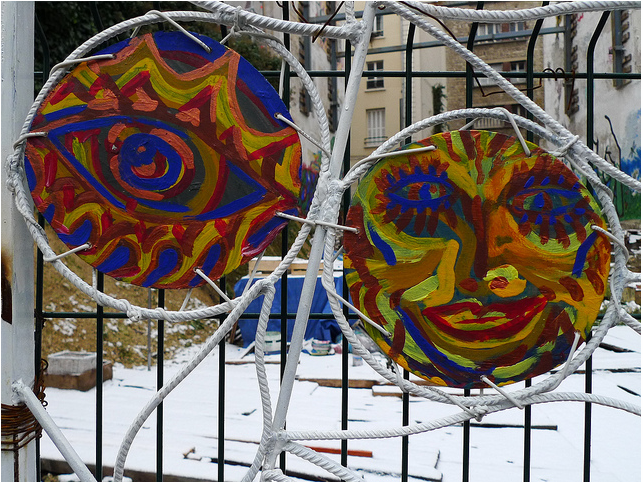 The pictures above show the creation of the metallic structure, collective creation process and the final installation. I prepared the metallic structure in my metal shop. Then public workshops sessions took place on site, in the plot, but also in the elementary schools of the district. 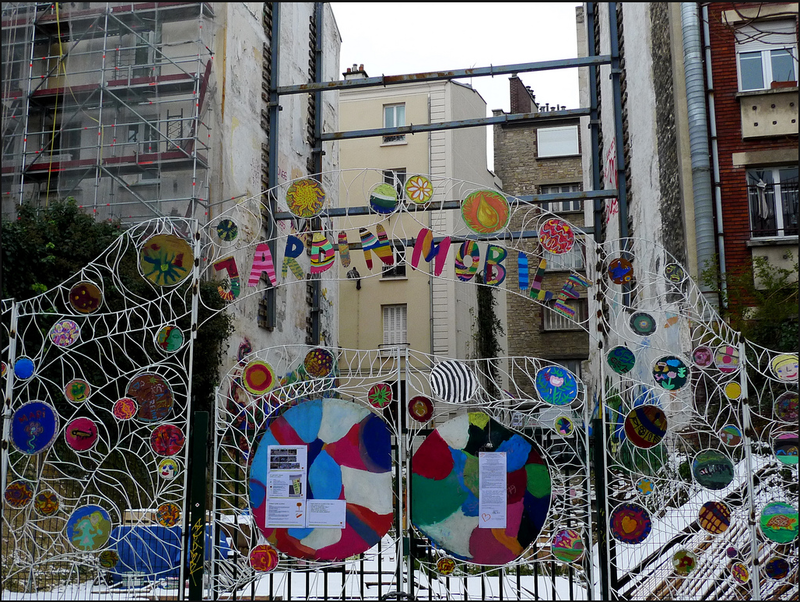 And during the definitive installation of the portal, we had snow, rain, hailstones, and wind… We all had flu but so much fun.